This salad is inspired by my all-time favorite restaurant, Al Di La Trattoria in Park Slope, Brooklyn. It’s a simple and elegant salad perfect for this time of year. 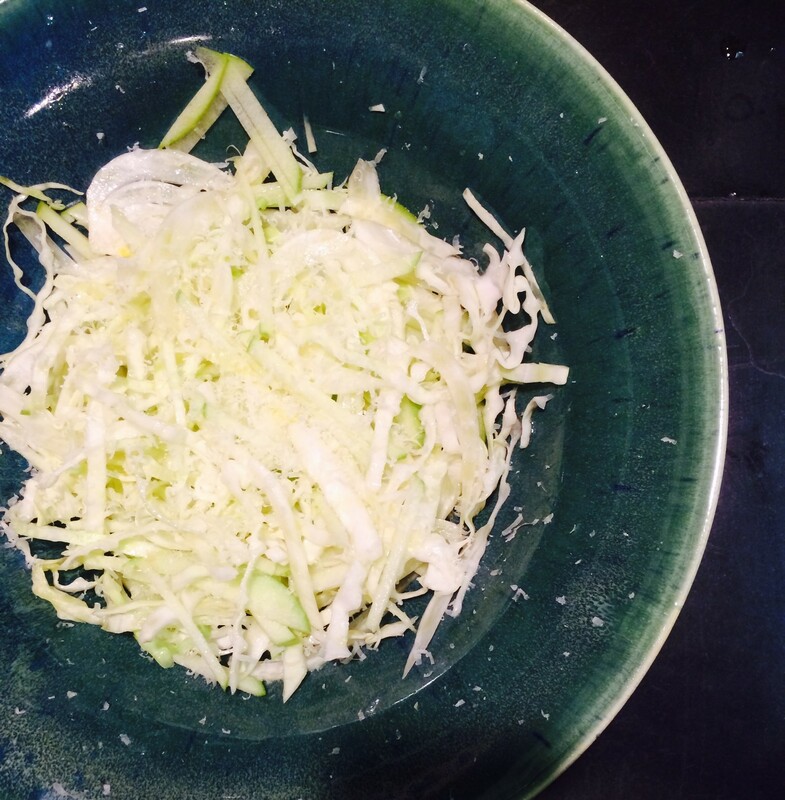 My version is a combination of shaved fennel, apple, and cabbage, with a champagne vinaigrette and Parmesan cheese. You can use a mandolin to get super-fine slices, but if you don’t have a mandolin, just use your best knife skills to get the thinnest possible slices. I prefer it on its own, but you could also add spinach or other greens to make a larger salad for more people (without so much slicing!). Mix together the three vegetables in a large bowl. Whisk together the vinegar, lemon juice, and olive oil, and toss into the salad (you may not need all of the dressing). Season with salt and pepper, and top with Parmesan cheese.